How Much do uPVC Windows Cost in 2018? UPVC double glazing is the most popular choice for replacement windows in the UK. However, if you’re investing in new windows for your home, you need to know that they are right for your home and your budget. You need answers to questions like, how much do uPVC windows cost, how long do they last, what’s your potential payoff, and will they provide a return on your investment? Getting the right information can help you to make the best decision for your needs. We’ve put together this complete UK guide to help you answer all your questions about PVC double glazing. Installing new windows is a huge investment for your home, but that doesn’t mean you shouldn’t keep costs as low as possible. UPVC double glazing is the cheapest frame option, and therefore is typically the most cost effective solution for replacement windows. You can expect an average casement window to start out at around £250 and go up to over £500. The following chart includes the average costs per window based on a medium sized frame. In most cases, uPVC costs vary a great deal depending on the manufacturer, installer, and the difficulty of the installation. Because as much as 60% of total replacement costs relate to actual fitting, you cannot get a 100% accurate quote for your windows until the installer inspects your home. The chart includes average costs to have the frame fitted. Now that you know how much your windows will likely cost, you’re probably wondering how long they will last. uPVC windows last between 10 and 35 years depending on the manufacturer, the care, and the quality of the original installation. Unlike wood and composite, uPVC is very durable, resistant to rot and decay, and easy to clean and maintain. Care – Smoke, dirt, and water can build up on the surface of your uPVC glazing and discolour the surface over time. You will have to occasionally clean the frames to maintain their appearance. Reinforcement – uPVC is a durable material but it is susceptible to bowing and buckling over time, especially when supporting heavy glass. Good uPVC windows include reinforced corners to ensure that they last for 20 or more years. Sealing – Good sealing is essential to ensuring the longevity of windows. When seals break, they allow moisture and air in between the panes, creating fogging, misting, or condensation. It is crucial that your installer offer quality sealing and a warranty or guarantee to protect your investment in case something goes wrong. 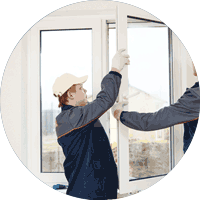 Different installers offer different types of warranties and guarantees on PVC double glazing. For this reason, it is important to shop around, compare your options, and consider what you’re getting for the money. In this case, large installers almost always offer a better deal, because they can afford better guarantees with insurance to ensure that your guarantee is fulfilled no matter what. Most guarantees ensure that your windows are covered for a minimum of 10 years – but some installers offer longer warranties. Many consumers choose local installers who typically offer lower prices, but you will have to inquire individually about the guarantee or warranty offered by the company. Most also do not include insurance. How much can uPVC double glazing save you in that time? Will I See a Return with uPVC Double Glazing? Almost everyone knows that double glazing will reduce your heating and cooling bills, but how much? And how long will it take you to pay them off? UPVC is an energy efficient material with high thermal efficiency, making it ideal for reducing energy bills. We’ve put together a chart so you can see an estimate of how much you could save. However, these estimates are approximate, your actual savings will vary based on your home, your existing windows, and your energy usage. Assuming you are installing uPVC double glazing, you can expect the following costs and returns over 20 years as estimated by the Energy Savings Trust. The average home in the UK sports 8 windows and you can calculate your average costs accordingly. For example, if you choose mid-range uPVC casement windows, you can expect to pay an average of about £2,400- £3,200 for 8 uPVC windows. In this same house, you can expect an average of £120 – £175 per year in savings if your current windows are already 20 years old. This means that your new doors and windows will likely break even or earn a return after 20 years. Because uPVC windows can last 25 and even 35 years with proper care, you may see a higher return as well. Triple glazing costs more but offers a higher return – however, the increased savings do not typically make up for the additional cost. PVC windows offer numerous benefits that make them well worth considering for your house. Overall, uPVC has more pros than cons, making it a quality material choice for most. However, you should still review your options and make the best decision for your home. Wood or timber and aluminium windows are the most popular options after PVC, and you should consider them. In most cases, your primary concerns should be the value you are adding to your home, the style of the existing windows, the age of the windows, and the type of windows you want to install. Your current budget should be a concern as well. uPVC double glazing is a cost-effective replacement window solution. However, you can reduce costs further by working to get a good deal on installation and on the windows. Glazed window installation is a highly competitive field and you can leverage that to save money. Always compare quotes. The more quotes you see, the more you can ensure that you are getting a good deal. Go into every sales meeting prepared. If you know what you want, what it should cost, and why you want it – you won’t be talked into paying more for something you don’t need, or worse, paying more than your replacement windows are worth. Get a full inspection before signing a contract. You won’t know the total price until the installer sees how much work fitting will be. Check what you get for the money. If one installer offers a better warranty or more services for the same quote, they are the better offer. Similarly, check what costs extra. Are you being charged over the quote for travel or trash removal? Make sure you understand what the quote includes. Getting a good deal on uPVC double glazing means researching your options. If you’re ready to get started we can help. Use our free quote comparison service to find and compare top quotes from the best installers in your area. 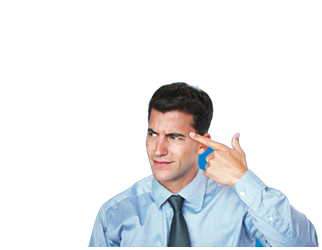 Just give us your information and we’ll submit a request for quote on your behalf. Installers know that we compare their quotes so they send us their lowest rate for the job, which we can then forward to you as direct savings. Most importantly, there’s no obligation whatsoever. Compare local installers and save up to 37.5% on your uPVC double glazing now.